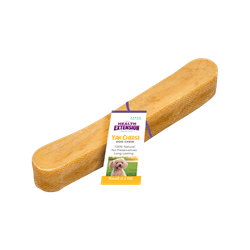 Your dog deserves the best of everything. 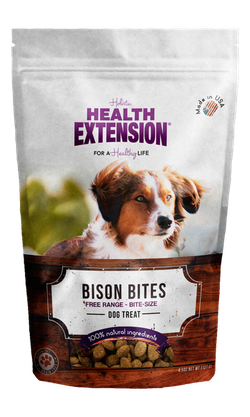 That’s why we spent so much quality time creating these exceptionally healthy, highly digestible treats! 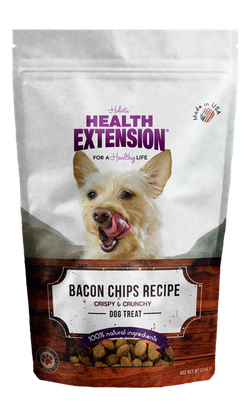 While each has its own merits, what they collectively have in common are all the ingredients we left out. 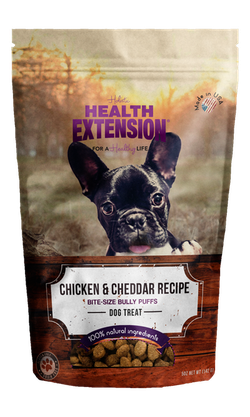 We refused to use anything that might compromise your pet’s health, such as fillers, by-products or rendered animal fats. 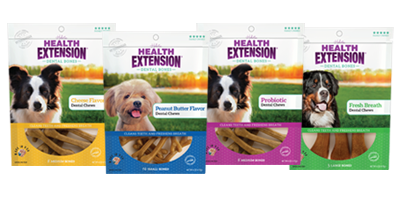 We also avoided artificial preservatives, colors or flavors of any kind. 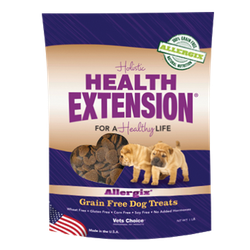 Health Extension Grain Free Dog Treats, for example, contain organic chicken as the first ingredient as well as whole sweet potatoes, pumpkin and berries. 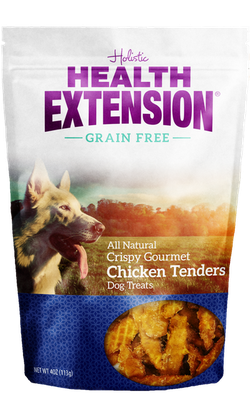 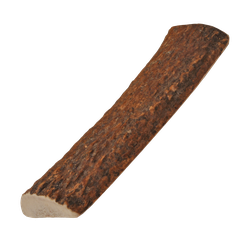 Our bone-shaped Natural Dog Treats are prepared with organic chicken, brown rice and our proprietary blend of vitamins, apple cider vinegar and ginger. 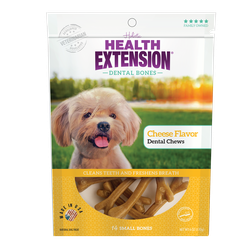 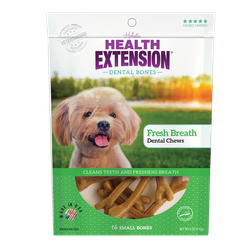 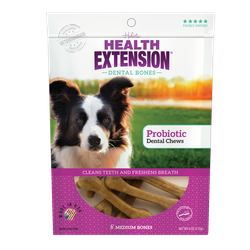 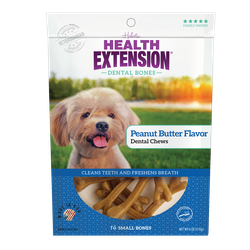 While Health Extension Dental Bones are designed to brush your dog’s teeth with every delicious, nutritious bite. 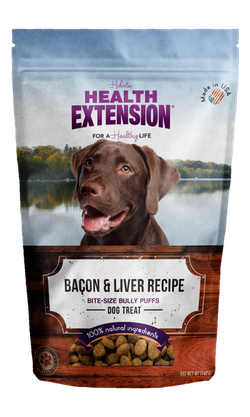 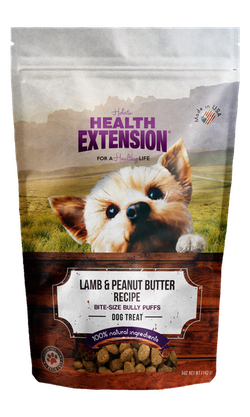 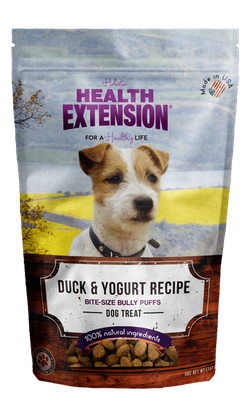 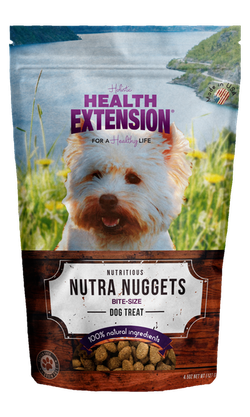 Explore any of these options and we think you’ll agree – Health Extension treats are ideal for treating or training that special pup in your life.